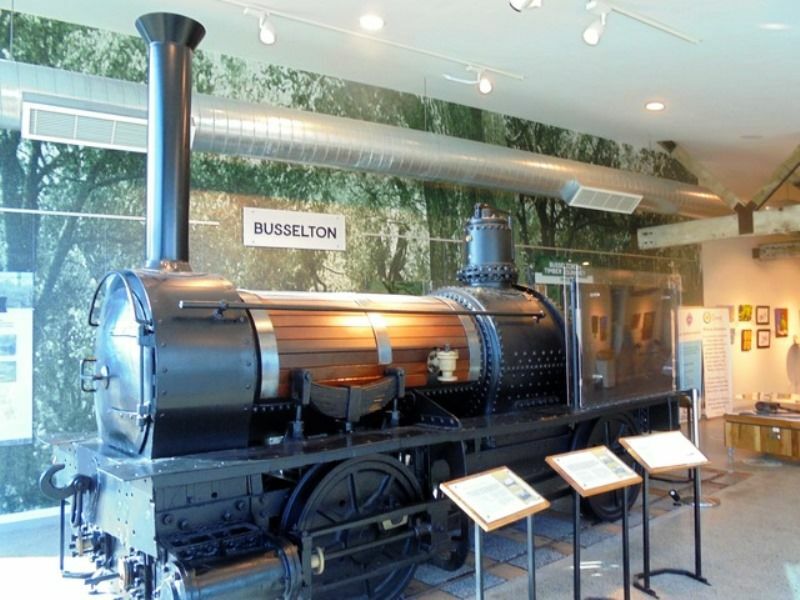 The Ballaarat Steam Locomotive commemorates the first steam locomotive in Western Australia. The railway ran between the port of Lockeville, where the West Australian Timber Company's (WATC) jetty and mill was built, 18 kilometres inland to Yoganup. Though it was completed in June 1871, the railway was initially operated by horses because of the difficulties in the landing of the locomotive. The construction of the 0-4-0WT locomotive by the Victoria Foundry for the Western Australian Timber Company in 1871 was the commencement of many years of commercial locomotive building by the local foundries. 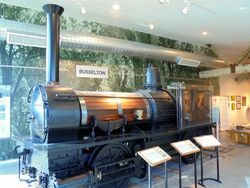 It was the first locomotive built in Ballarat for Australian use, the first locomotive in Western Australia, and the first of 3ft 6in gauge to be manufactured in Australia. 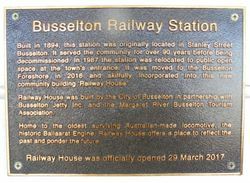 It was named BALLAARAT to commemorate the town of its manufacture and used the original spelling for that centre.